Taking Multiple/Split Payments for a Sale – How can we help? You can take multiple payments types on the same sale. To do so, you will need to have Vend on the most current version of Google Chrome. Follow the steps below to make multiple/split payments on your Web Browser. 1. 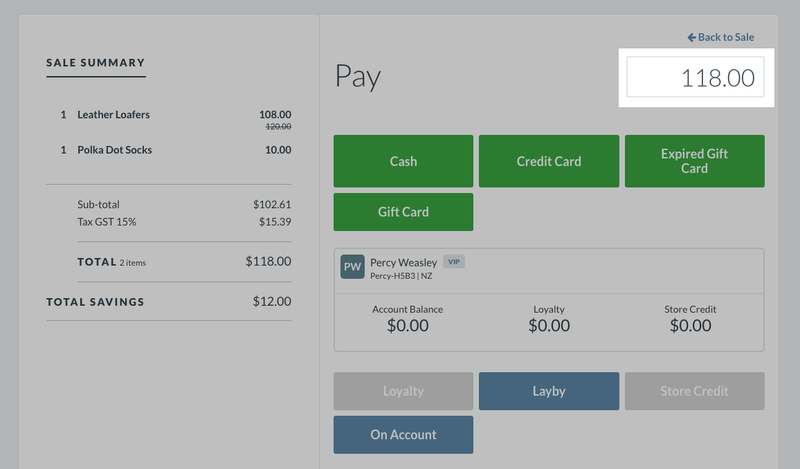 On the payments screen, click on the payment amount field on the upper right-hand corner of the screen. 2. 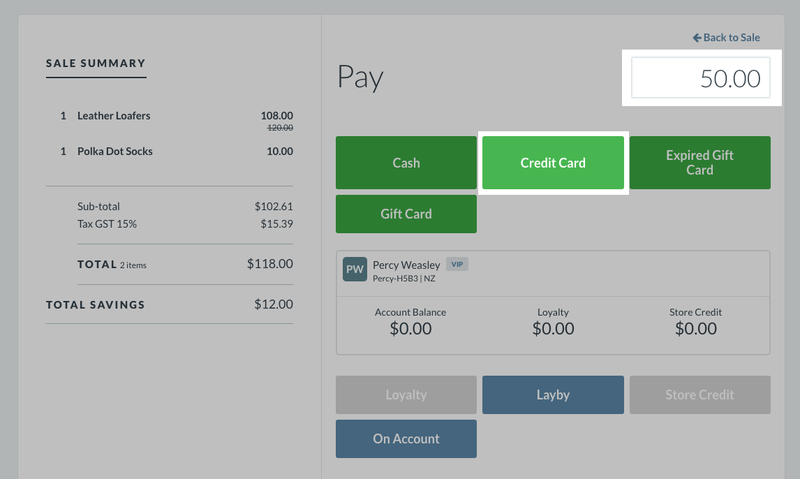 Type the amount the customer wants to pay in the payment amount field and choose the payment button. Once it is processed, the remaining balance of the sale will be adjusted, and you will be able to apply the next payment type. 3. 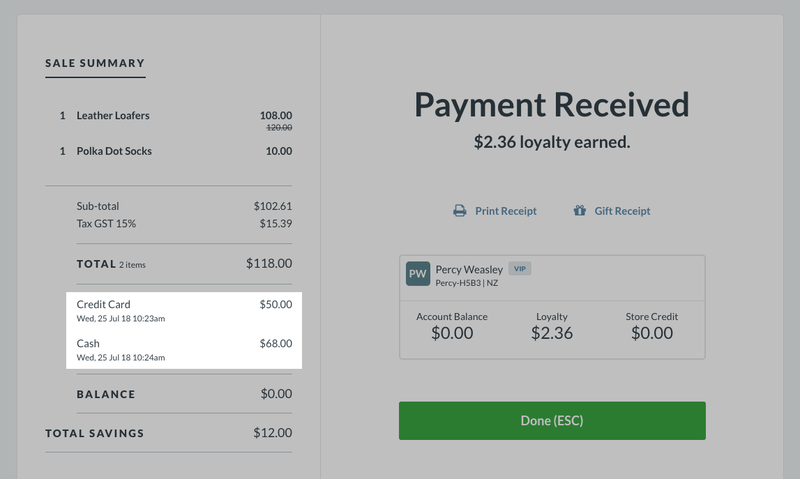 Process the remaining amount with another payment type by clicking on the payment type. This process can be repeated as many times as needed with any of the payment types that are available in store. Final: Once all the payments have been made to clear the sum owed, the sale will be closed. 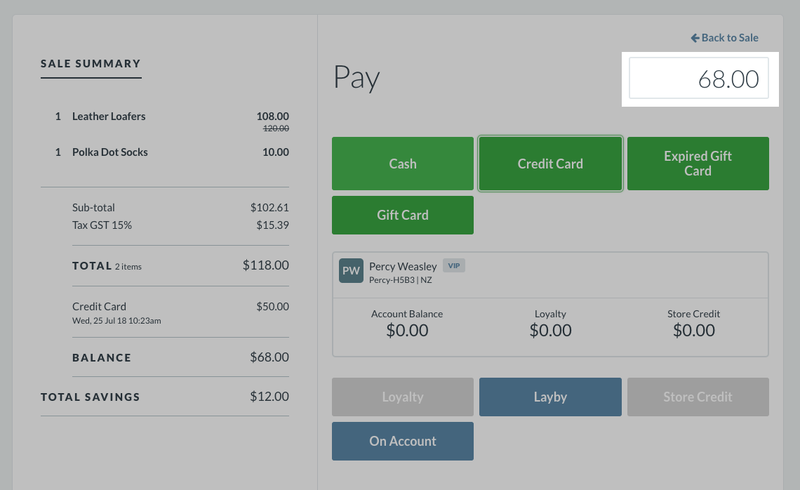 When taking multiple payments, the different payments will be reflected on the Sell Screen when you click Payments. You will also see the different payments reflected on your Sale Summary (as above) and the receipt issued to the customer. For more information on Taking Payments in Vend, check out this help article here.